All Online Safety incidents are recorded in the School Behaviour Management System. 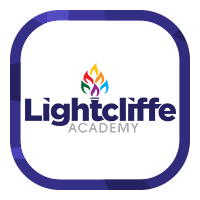 In situations where a member of staff is made aware of a serious Online Safety incident, concerning pupils or staff, they will inform the Online Safety Lead, child protection officer, their line manager or principal who will then respond in the most appropriate manner. Instances of cyberbullying will be taken very seriously by the school and dealt with using the schools anti-bullying procedures. School recognizes that staff as well as pupils may be victims and will take appropriate action in either situation, including instigating restorative practices to support the victim. Incidents which create a risk to the security of the school network, or create an information security risk, will be referred to the school’s Online Safety Lead and technical support and appropriate advice sought and action taken to minimize the risk and prevent further instances occurring, including reviewing any policies, procedures or guidance. If the action breaches school policy then appropriate sanctions will be applied. The school will decide if parents need to be informed if there is a risk that pupil data has been lost. The Thinkuknow programme has films and advice for children from five all the way to 16. Your child may have seen these at school, but they can also be a good tool for you to find out more about what young people do online and some of the potential risks. Think about what they might see, what they share, who they talk to and how long they spend online. It is important to continue to discuss boundaries so that they evolve as your child’s use of technology does. Nowadays even the TV connects to the internet. Your child will use all sorts of devices and gadgets; make sure you’re aware of which ones can connect to the internet, such as their phone or games console. Also, find out how they are accessing the internet – is it your connection or a neighbour’s Wifi? This will affect whether your safety settings are being applied. Parental controls are not just about locking and blocking, they are a tool to help you set appropriate boundaries as your child grows and develops. They are not the answer to your child’s online safety, but they are a good start and are not as difficult to install as you might think. Service providers are working hard to make them simple, effective and user friendly. Find your service provider and learn how to set your controls. Make sure your child knows never to meet up with someone they only know online. People might not always be who they say they are. Make sure your child understands that they should never meet up with anyone they only know online without taking a trusted adult with them. Just as in the offline world, you want to help your child when they need it. Therefore, it is important to know when and how to report any problem. We use a secure email service provided by Microsoft called Office 365. We have expectations of both students and staff on how they conduct themselves using email communication. Email is regarded as an essential means of communication and the school provides all members of the school community with an e-mail account for school based communication. 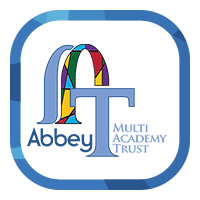 Communication by email between staff, pupils and parents will only be made using the school email account and should be professional and related to school matters only. E-mail messages on school business should be regarded as having been sent on headed notepaper and reflect a suitable tone and content and should ensure that the good name of the school is maintained. records in situations where this is called upon. It is the personal responsibility of the email account holder to keep their password secure. informed that misuse of email will result in a loss of privileges. School will set clear guidelines about when pupil-staff communication via email is acceptable and staff will set clear boundaries for pupils. Under no circumstances will staff contact pupils, parents or conduct any school business using a personal email addresses. Responsible use of personal web mail accounts on school systems is permitted for staff only outside teaching hours. Never open attachments from an untrusted source.